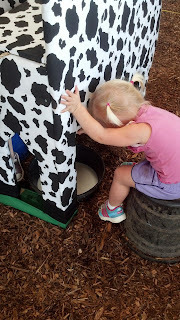 This blog is about what to do with your toddlers and preschoolers in the Raleigh, NC area if you are looking for something outside of the house. A lot has changed since my last writing. Yes, I recently posted but it was a blog I had written more than a year ago that needed to be shared. 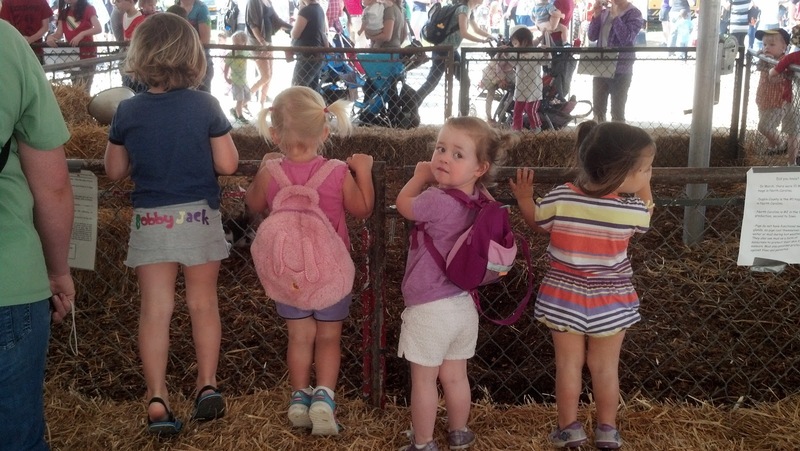 Turns out, I only have one preschooler now (& only for one more year SNIFFLE) & my other daughter is in kindergarten. So I plan to continue writing about the places we go and see, but perhaps as my kiddos' taste evolves, yours will, too? 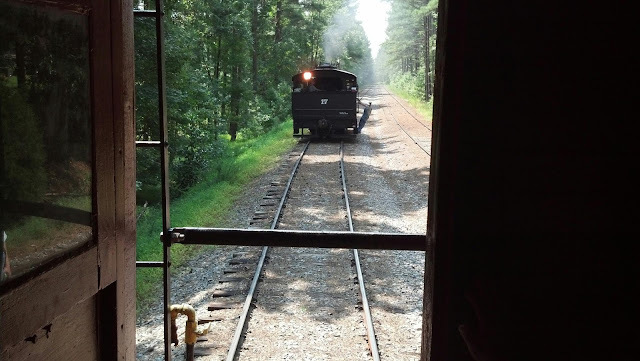 I'd like to write about track out camps, homework help (especially with COMMON CORE), after-school activities and sports and where to go with your kids during the evening, for educational purposes, etc. This is not "exactly" going to be for toddler parents going forward but I'm hoping what has already been written will act as reference, and ya'll wouldn't mind letting me know if activities/parks are changing. Don't get me wrong, we still go to parks. 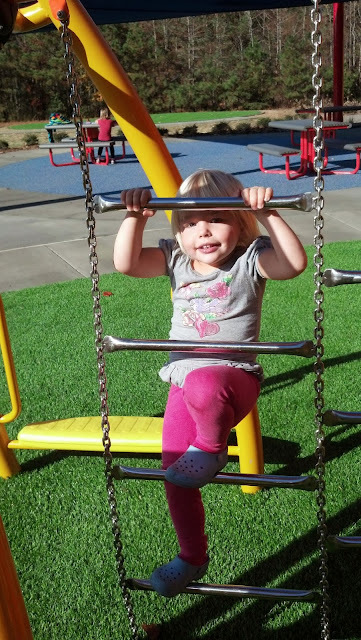 But my kids enjoy consistency now and really love going to the same parks. So a "new adventure" that was easy to sell when they didn't realize I was shlepping them all over Wake County and beyond has become a tougher sell. Yup, Harold D. Ritter Park was a great as advertised. When I pulled up I wasn't so sure though. Didn't look outstanding, although it did look nice, updated and clean -- as per usual in Cary. However, we got an incredible treat this morning on my first adventure of the spring. There were two firetrucks and the firemen were practicing on the equipment with full gear on! I wouldn't include too much of this in my blog about the park if it were just a 1-time occurrence, but the firefighter I spoke with said they practice there every so often and sometimes just brought the trucks in for the kids to explore and ask questions. It was awesome. I don't know who was more "geeked out" me or the kids. OK, it was me. Anyway, the rest of the morning the girls played for extended periods on the swings (big kid and baby swings), in the large sandbox, on the slides, balance steps, and this great little horizontal-ish wheel I've seen before but never seen so popular with the kids. It was amazing. My buddy, Amanda, and I just sat back and watched our kids play for hours. It was worth getting rained on periodically and was a bit chilly in the a.m. The trees in the area (Lochmere neighborhood) are mature and provide a canopy from the sun, which in the summer comes in pretty handy. We will go again and again. Turns out, however, it is not much of a secret. When we arrived it was nearly empty. When we left there were at least a hundred kids and parents. Still, it's a big park and didn't seemed overly crowded and all the moms were pretty friendly. HIGHLIGHTS: Fantastic turf (not grass) that you can play in just after it rains - still gets wet but not muddy, great little sidewalks for kids to run around, playground equipment for most sizes and lots of options. LOW LIGHTS: It gets a little crowded at times and the potties are a bit of a hike from the playground. Farm Days is April 9-11! DON'T MISS IT! OK, so I nearly forgot. 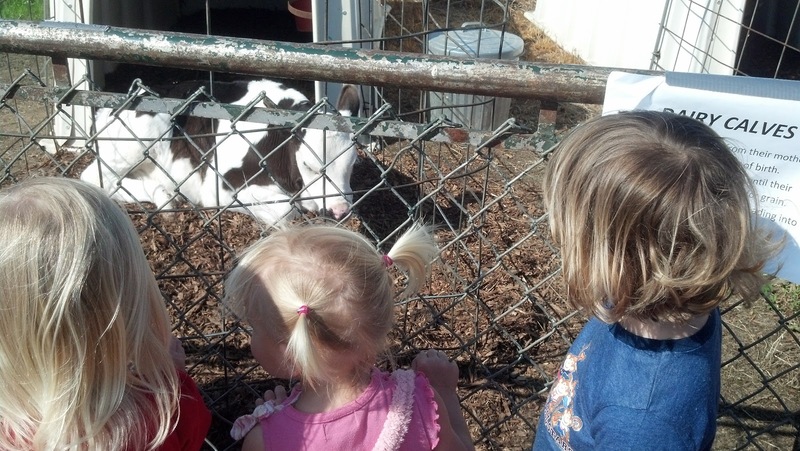 Thanks to a mommy friend of mine, we are going to Farm Animal Days tomorrow at N.C. State. It will run Wednesday thru Friday (April 9-11). For more information, visit their website. If I had time to tell you about all the great things I would, but here are my cliffs notes from last year. 1. 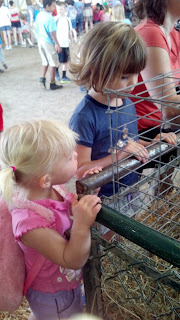 The Baby Chicks are a MUST-SEE but it gets very crowded. 2. 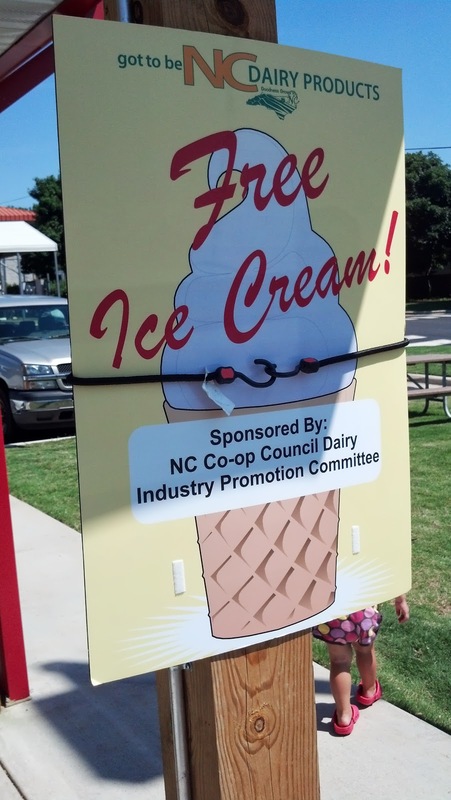 The Free Ice Cream Is Amazing, So Get Some For Yourself, too. 3. Milk the Fake Cow! 4. 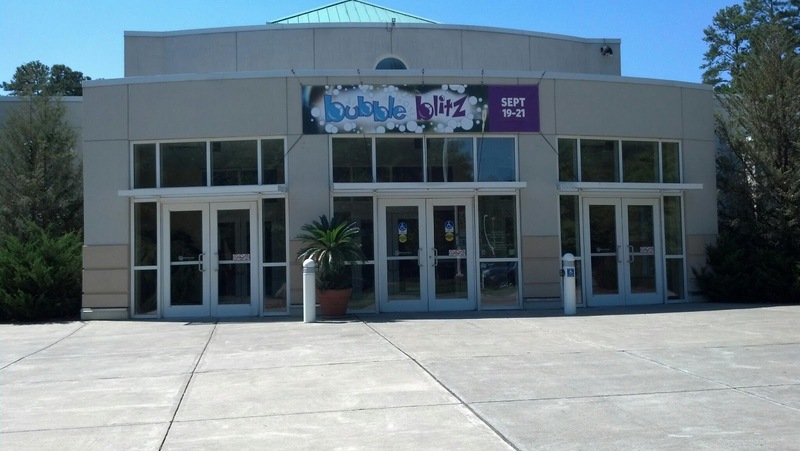 You May Have To Go Twice -- It's That Fun! 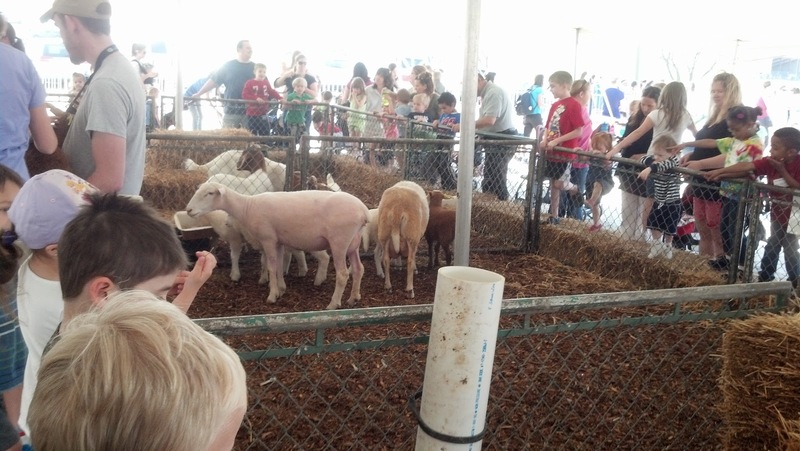 NC State Farm Animal Days is wonderful! 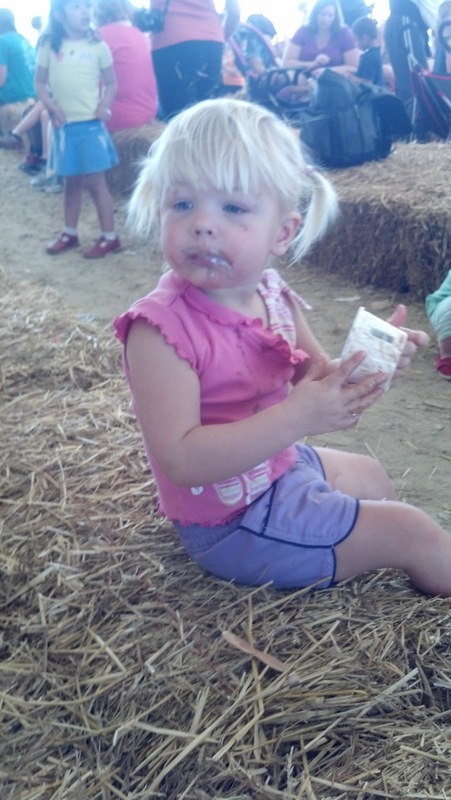 You can hold baby chicks (total highlight), see and pet sheep and lambs, rabbits, practice milking a cow (though not a real one), see adult and baby horses, eat free delicious ice cream and pose on a tractor. Honestly, it's really a great experience and one my children wouldn't otherwise get. It's well organized, but busy, so if you can go at the recommended times. 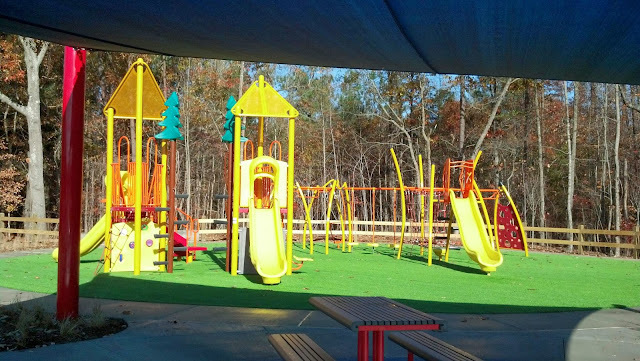 It used to be just softball, baseball fields, but they recently finished two sections of playground and a sheltered eating area with three picnic benches, and Jones Park in Holly Springs (off of Holly Springs Road behind the elementary school) is fantastic! 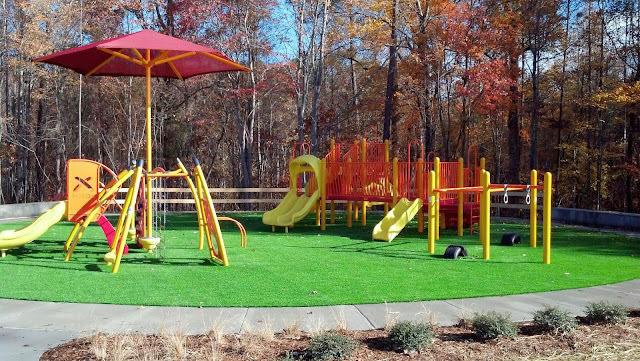 It looks beautiful and is clearly a wonderful addition to Holly Springs' Park & Recreation Department. However, the potties were a bit of a hike, which was unfortunate for me on my first visit because I was forced to change a blowout diaper on a towel on the ground and ended up with it on my pants, hands, the towel and more and no place to wash my hands (that I could find). Any potty trainers may have had a rough time, too. Also, and this is an unavoidable issue in year-round school areas, but there were at least three huge groups of kids that came to the park, nearly knocking over the toddlers and certainly dominating the once (but briefly) quiet playground. So when the big groups came we jumped on a trail and walked around a bit. It was definitely worth the chaos, and the trail was revisited and biked by my 3 and 4 year olds. And the trail led to Veterans Park and pond, which is wonderful for those looking for a scenic walk with a stroller. All in all it was a great morning. We loved the mini monkey bars, different ways to climb, balance, slide and more. For once it was nice not to have swings because I don't love pushing the whole time. But it would have been nice to see a sandbox. Just my two cents. I'm excited about this park, go there on a regular basis now, and recently heard about the renovations to Womble Park. I hear it's much nicer. Can't wait to try it out again! I do have some misgivings about Womble, but that's a blog for another day! HIGHLIGHTS: Fantastic turf (not grass) that you can play in just after it rains - still gets wet but not muddy, great little sidewalks for kids to run around, playground equipment for most sizes and lots of hanging things. LOW LIGHTS: It gets a little crowded at times, but nothing like Kelly Road Park or Womble, a My kids love sandboxes, and there are none here - nor are there swings (but for some that is a highlight cuz some of us moms don't like to push swings for hours on end!) and the potties are a bit of a hike from the playground. I crossed off two of my wish-list places last week. The first was The Museum of Life & Science in Durham. The second was the New Hill/Bonsal Train ride. Both were amazing and are a MUST for Triangle parents. I will tell you why we loved them, what we paid and helpful hints for enjoying both places to their fullest. Unfortunately, my blogging has slowed down a bit because we have started school and work and my kids have their favorites. But these two blogs are forthcoming, in addition to new places to be added to my wish list. It's just easier to find what they love and do the same thing over and over - because, after all, kids do that! Once again, suggestions are always welcome!! 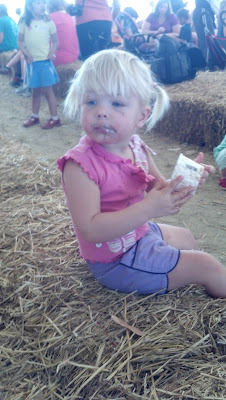 Blueberry Day at the Farmer's Market in Raleigh - AWESOMELY SIMPLE! I am a huge fan of the North Carolina State Farmer's Market. If I could, I'd be there every day for fresh fruit and vegetables. So last Saturday when I saw there was a blueberry day coming up, I marked my calendar, did a little research and headed over with the kids. 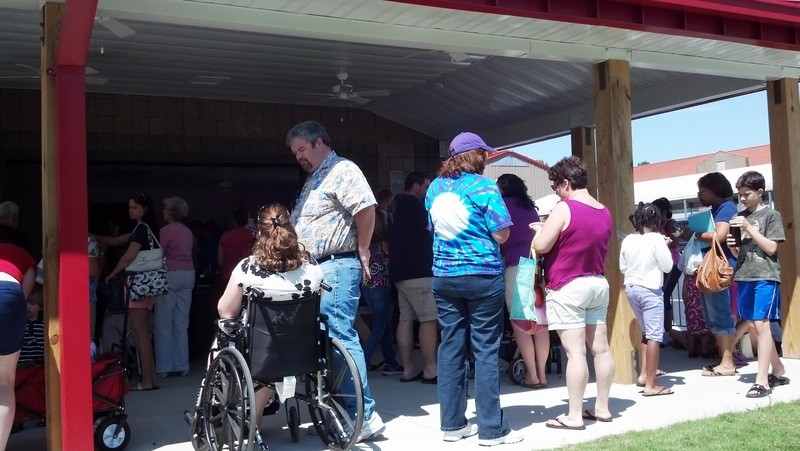 There is a brand new building at the Farmer's Market, and that's where the celebration took place. 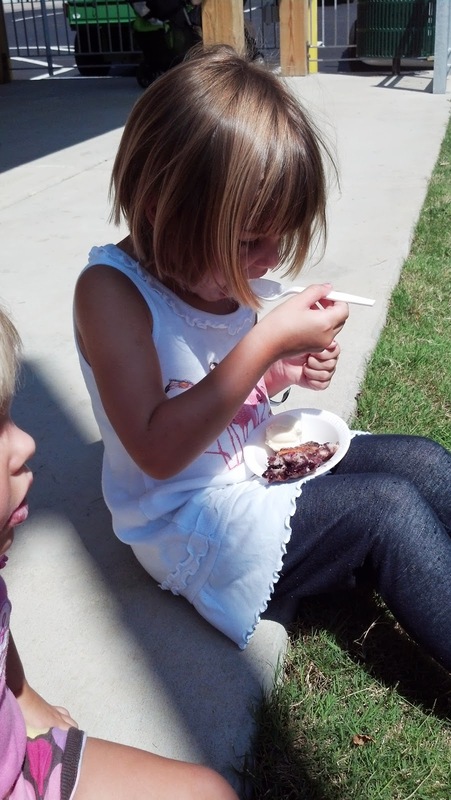 It was very simple - free samples of North Carolina blueberries and a great little blueberry cobbler with ice cream. They also gave out blueberry recipes, stickers, coloring books, little "Got Milk?" bracelets and keyrings for the kids and they had music playing. I later found out from a regular visitor for these special events that they usually have a blueberry princess or sweet potato princess that comes out and greets people. It was really a fun event and great way to get me back out to the Farmer's Market during the week (when it's far less busy). Click here for information on the next celebration: but you can expect a Peach Day, Watermellon Day, Sweet Potato Day, Grape Day and more. There's really nothing ridiculous or can't miss about this event, except it's free food and it's just a fun thing to do that's a little out of the ordinary for you and your kids. I had a great time and plan to go back next time! HIGHLIGHTS: Free fresh food, new recipes, great outdoor activity and other giveaways and you get to go to the farmer's market, which is awesome. LOW LIGHTS: It gets a little crowded, so I would go early, and there are not a ton of seats available. COST: Free (unless you buy produce there, which I always do). What is Your Favorite Park in the Raleigh Area?